Professor Tony Attwood, clinical psychologist and leading author in the field, said autistic children often could not avoid becoming targets. He says the real solution to the problem lies in educating schools, empowering other children to help and stopping the bullies themselves. “We say that both parties are in need of rescuing,” Prof Attwood said. But some kids will always be cruel. Prof Attwood believes the best way to stop this kind of bullying is to encourage “cool” kids with social consciences to intervene. 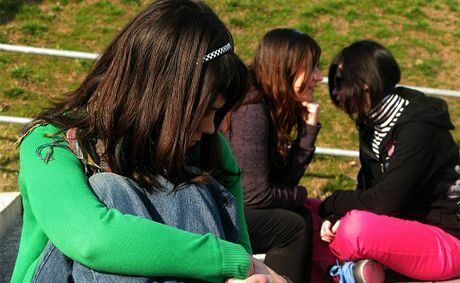 “Nearly all acts of bullying and teasing are done in front of a group,” Prof Attwood said. Prof Attwood began studying autism and Asperger's syndrome when he was 19. He was a volunteer at a special school where he met two severely autistic children. At the time, only half the people who suffered from the syndrome ever learnt to speak and autistic children were sent either to a special school or an institution. Now 75% master a language and while autism schools with special courses of study still exist, integration into ordinary classrooms can be beneficial for many autistic children. Prof Attwood said some children with severe autism were not motivated to socialise and preferred to be alone. Others saw friendship groups and wanted to be a part of them, but did not understand how. Autistic people had a keen grasp of logic but often had difficulty understanding emotions, body language and facial expressions, Prof Attwood said. “Some can do the basics,” he said. Logic can be used to teach them how they can act in certain ways to create friendships. Prof Attwood said autism affected one-in-100 children and these numbers were slowly rising, although experts did not know why. “That means that everyone who reads this article will know someone with autism,” he said. For further information, visit www.autismqld.com.au or call 32730000.